Edward Douglas is one of the first people released from prison after our criminal justice reform bill – the First Step Act – was signed into law. Mr. Douglas and his daughter – Senator Booker's State of the Union guests – talk about his new life as a free man. Actress & activist Alyssa Milano talks to Cory Booker about what's really at stake in the Supreme Court nominee fight of our lifetime – and how every single person has the power to create positive change. Senator Cory Booker speaks with justice advocate Weldon Angelos about the failed War on Drugs. Angelos was sentenced to 55 years in prison for a first-time marijuana offense but had his sentence reduced after a major public campaign drew attention to the injustice of his case. This is a special episode recorded LIVE in partnership with the Center for American Progress and its podcast, Thinking Cap. A message from Sen. Booker for the Class of 2018 about how power is far more than the lines on your resume or the title on your business card. Con-GRAD-ulations to all the graduates! In honor of Mother's Day, Sen. Cory Booker called his mom Carolyn and had a deeply personal conversation about raising black boys in America, fighting the chicken pox, caregiving, and whether she thought her son would grow up to become a U.S. Senator. Please forgive any audio quality issues – the conversation happened remotely over the phone! Activist Catherine Flowers shares stories of communities continually struggling against unspeakable environmental injustices. This Black History Month I wanted to share with you the story of my Dad – in my own words. The first African-American female mayor of Charlotte, NC – Vi Lyles – talks to Cory Booker about local government, black women in politics, and when to be a "critical friend." Four Dreamers from New Jersey share their incredibly inspiring and heartbreaking stories with U.S. Senator Cory Booker. Civil rights icon Rep. John Lewis & U.S. Senator Cory Booker talk about the struggle for equality and his integral role in helping bring about the end of segregation in the United States. Lewis is the only living person from the “Big Six” group leaders who organized the March on Washington in 1963. A teaser for the new podcast from U.S. 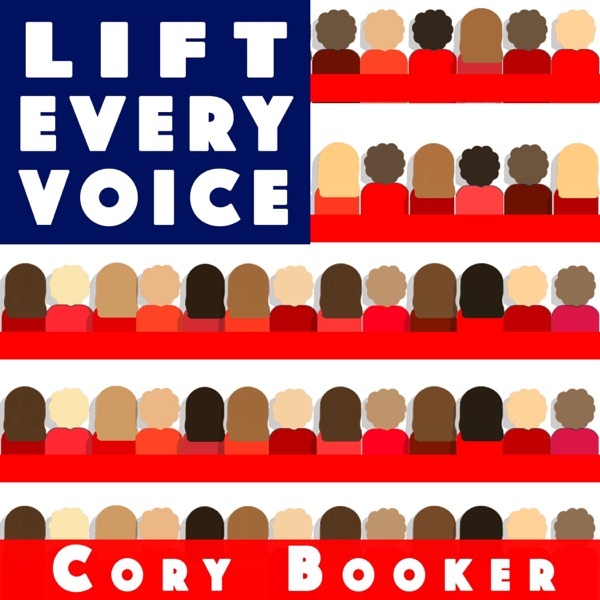 Senator Cory Booker – Lift Every Voice.